Among its many resources, Indonesia has an abundant supply of water catchments. It has more than enough water to supply its 250 million population, but due to problems with distribution and lack of safe drinking water, demand is surging for bottled beverages. But other challenges are looming for the packaging sector such as the impending excise tax on plastic packaging that may slowdown growth of the bottled and packaged food and beverage industry, in this report. What is plaguing the country’s ability to quench the water needs of its people is the uneven distribution, poor management and lack of infrastructure, which have left parts of the country with insufficient access to water. For the most part, 35% of the country’s households have water sourced from wells and public taps; while the rest satiate their requirements from water bodies, rain water, refilling water stations and others. Nonetheless, potability and safety of water are matters of concern. Pollution and other contaminants are depriving Indonesians access to safe water supply. For example, most industrial and domestic waste is discharged into rivers, which is a source for many households that do not have access to piped water. In a recent report by TechSci Research, researchbased global management consulting firm, it says that water degradation is an outgrowth of the increasing population and industrial development, especially in the western region of the country. “Domestic and industrial wastes spoil the drinking water sources, and small scale mining activities near the rivers also contribute to the cumulating mercury level in river water,” it says. To make water safe, water treatment, mostly by boiling, has been employed in 70% of households across the country, according to the country’s Demographic and Health Survey 2012. But rural households are resorting to water treatment far more than urban households, since the latter prefer bottled or refilled water. The TechSci report on Indonesia’s water purifiers market supports this finding. It says that the water degradation situation in many areas of the country is a reason for reliance on either bottled or boiled water. Alternatively, households invest in water purifiers. Globally, the bottled water market, which consists of the retail sale of sparkling flavoured water, sparkling unflavoured water, still flavoured water and still unflavoured water, is witnessing gains. In addition to unsafe water supplies, a growing awareness to consume less sugar is also pushing the global bottled water demand. US-based GrandView Research projects growth in this sector, on account of shifting consumer preference from high calorie carbonated soft drinks (CSDs) to healthier alternatives that are fortified with vitamins and flavouring agents. 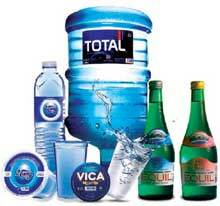 Asia is one of the largest markets for bottled water. 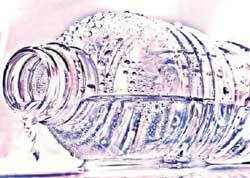 Population growth and rising awareness towards vitamin-enriched water in China, India, Thailand, Malaysia and Indonesia is expected to be an important factor to fuel bottled water demand. Indonesia’s bottled water industry is a fast growing sector and is significantly contributing to the economy, India-headquartered Mordor Intelligence says in a report, adding that growth in the domestic market also segues to introducing improvements to water facilities. This year, the growth target is at 10%, according to the Indonesian Bottled-Water Business Association (ASPADIN), and is higher compared to the 7.8% target set by the Industrial Ministry. The association sees it as a realistic projection given that the Indonesian economy is growing, yet on the other hand, the problem with water supply is building up. With local consumers shifting to bottled water, ASPADIN sees bottled water production reaching up to 27 billion litres this year, against the 24.7 billion litres produced a year ago. Bottled water offers a solution to the lack of access to safe water. However, at the end of its life, the plastic packaging that helps keep the water hygienic is said to antagonise the environment. Indonesia has a notorious lead as the world’s second biggest polluter of plastics after China, according to a University of Georgia-led study last year. Data from the Environment and Forestry Ministry cites that Indonesians use up to 9.8 billion/ year plastic bags. Globally, only China uses more plastic bags than Indonesia. As for the country’s per capita plastics consumption, it is relatively lower at 14 kg, compared to Thailand’s and Malaysia’s average of 40 kg; or Singapore’s 80 kg per capita consumption. Early in the year, the country implemented a six-month trial campaign in 23 cities to reduce the use of plastic bags, with a fee of Rp200 levied for each plastic bag. But its biggest challenge was to convince small retailers in traditional stores and markets, which account for 90% of the country’s retail sector. Retailers’ association APRINDO said its 100 members used nearly 11 million plastic bags last year. Its target is to reduce the figure by 20% by 2020. The public reacted positively to the plastic bag ban, with an immediate 25% reduction in the 23 cities, according to Environment and Forestry Ministry data. And though the government subsequently issued a circular to regional governments stipulating the continuation of the policy, some retailers are apparently unaware of this, continuing to give out free plastic bags. Meanwhile, another tax is going to hit the plastic packaging sector. Recently, the Indonesian government said that it will levy an excise tax of Rp200 on all food and beverages packed in plastic packaging before the end of 2016. According to preliminary information from the Finance Ministry, the excise will be imposed on bottles, bags and sachets. However, lower rates may apply for companies that focus on recycling activities. It is expected that the higher price of products packed in plastic materials will discourage consumption of these products and therefore there will be less plastic waste. By imposing this additional excise tax, the government's tax revenue will rise. Given that Indonesia's tax revenue has been disappointing so far this year (and has been disappointing in recent years) the government is eager to find new sources of income. Since most Indonesians have the habit of consuming plastic-wrapped snacks and bottled drinks, this excise tax constitutes a great source of revenue. However, the plan for the tax has been met with fierce resistance, especially from stakeholders active in Indonesia's food and beverage and packaging sectors. Affected sectors have said that if implemented, this move could impede the industry, dent sales and even cut down jobs. The Indonesian Food and Beverages Association (Gapmmi) said the tax would burden customers. Along the same lines, the Indonesian Olefin and Plastic Industry Association (Inaplas) says that consumers would be left without any alternative form of practical packaging. The association furthers that plastics remain the best wrapping material, compared to paper, glass, steel or aluminium, and for manufacturing, because plastics need the least energy. Gapmmi also says it could weaken Indonesia's industrial competitiveness in ASEAN. This could then hinder development of Indonesia's manufacturing industry (perhaps giving rise to more food and beverage imports from abroad). 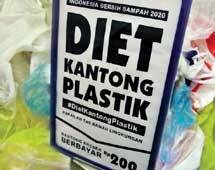 The Forum of the Associations of Plastic Using and Producing Industries (FLAIPPP) said the tax would cost the government Rp528 billion in losses annually from other sources of revenue such as sales and income taxes and slower sales of food and beverages in plastic packaging. Inaplas and other organisations say the government should focus on the development of good waste management systems, instead of using the excise as a tool to gain additional revenue. Are free trade agreements the way out? Despite the downside of the excise duty on plastic packaging, the industry can still fill its cup with other opportunities. A new free trade agreement (FTA) between Indonesia and the EU, its fourth largest trading partner is also being negotiated. Indonesia is the sixth ASEAN nation to negotiate a bilateral FTA with the EU that facilitates trade and investments and covers a broad range of issues, including customs duties and other barriers to trade, services and investment, access to public procurement markets, as well as competition rules and protection of intellectual property rights. Included also is a comprehensive chapter aiming to ensure that closer economic relations between the EU and Indonesia correspond with environmental protection and social development. Clinching the trade agreement would represent a huge market of 750 million consumers. Trade in goods between the EU and Indonesia amounted to over EUR25 billion in 2015 with EU exports worth almost EUR10 billion and EU imports from Indonesia worth more than EUR15 billion, resulting in over EUR5 billion trade surplus for Indonesia, according to the communication issued by the EU. Products exported by Indonesia are machinery and appliances, textiles and footwear, plastic and rubber products, and agricultural products. The EU exports to Indonesia mostly industrial products, including machinery and appliances, transport equipment and chemical products. Indonesia benefits from the EU's one-way customs duty discounts for developing countries under the standard Generalised Scheme of Preferences (GSP). There are yet other avenues for growth opening up for the food and beverage industry. Its low calorie health drinks as well as instant food and beverage products may soon be heading for the South African market, a non-traditional market for Indonesia. At a trade event, Africa’s Big 7 (AB7), held in June in Johannesburg, buyers expressed their interest in Indonesian food and beverage products to be made available across the continent. The food packaging industry is seen to remain the largest plastics end-user, accounting 60% of plastics consumption, according to Global Business Guide. The prospect of bringing down cost of plastic packaging lower is good news for the food and beverage industry. The local plastics manufacturing is seeing the long-term advantage of curbing dependence on imported raw materials to lower production costs. 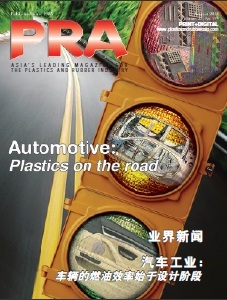 By 2022, local manufacturers are expected to source more materials locally upon completion of four production facilities for olefin – a key feedstock for the manufacture of plastic products. According to Inaplas, the facilities, two will be located in Kalimantan (Central and East), one in Papua, and the other in Sumatra, will have a total production capacity of 2 million tonnes/year. The 600,000-tonne/ year Sumatra factory, which will process coal into olefin, will begin construction by 2018. 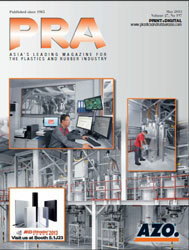 Local access to raw materials can significantly pump up plastics production, Inaplas said in a report. The commissioning of the olefin plants can plug the demand gap of some 1.7 million tonnes of plastics materials in the country. Meantime, the potential cost savings mentioned above will surely trickle down to the food and beverage industry, which provides a remedy against the scarcity of safe water: in a bottle.